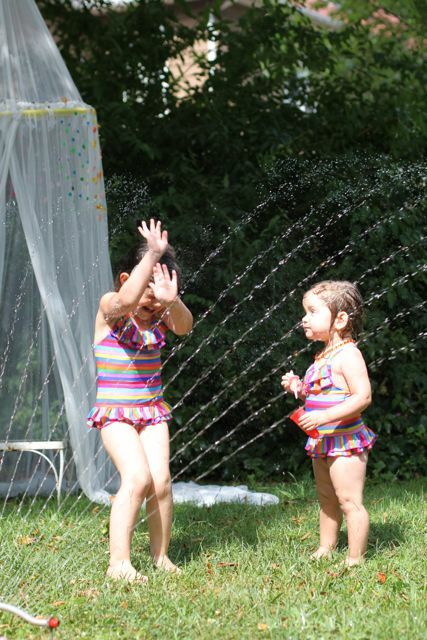 The owners of our house, Pam and Keith, came home the other day to find us playing in the yard. 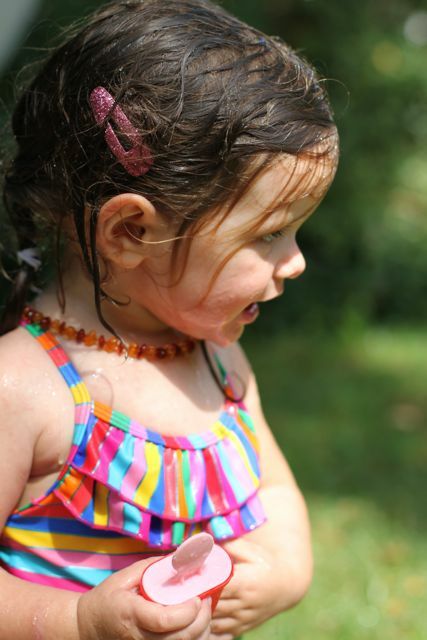 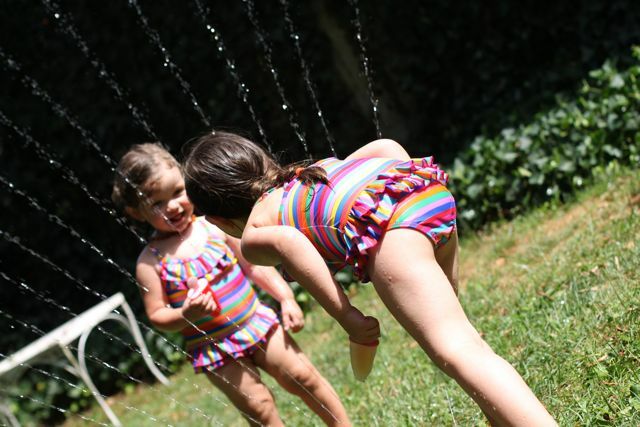 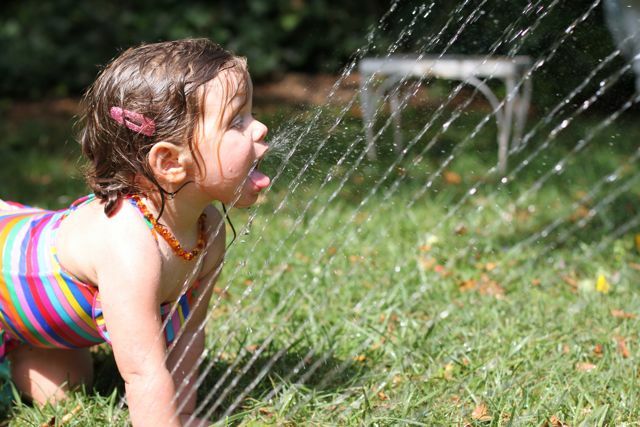 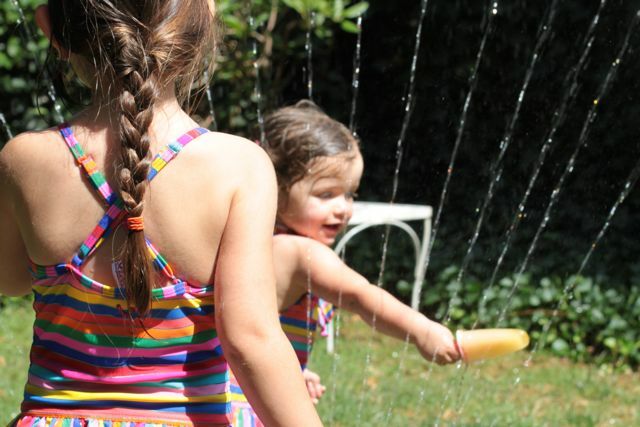 It was a particularly hot day and Pam offered to hold the hose for the girls to play in. 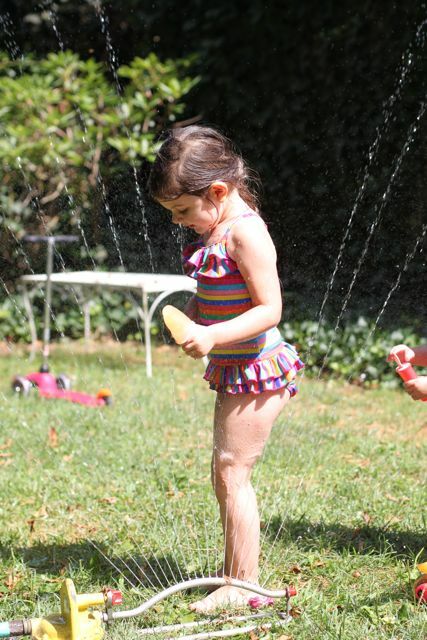 I then said that I had been intending to buy a sprinkler, which led Keith into the garage to dig out two sprinklers. 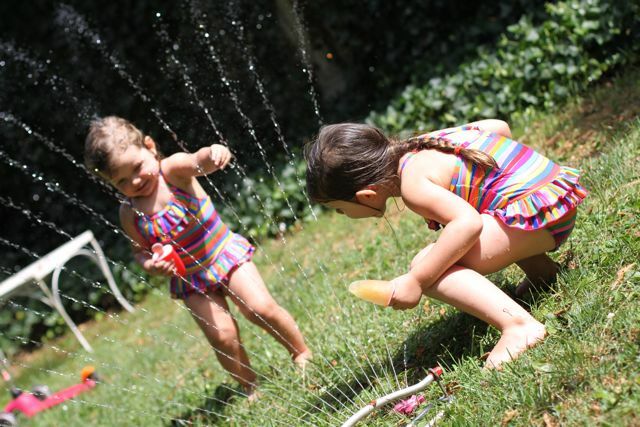 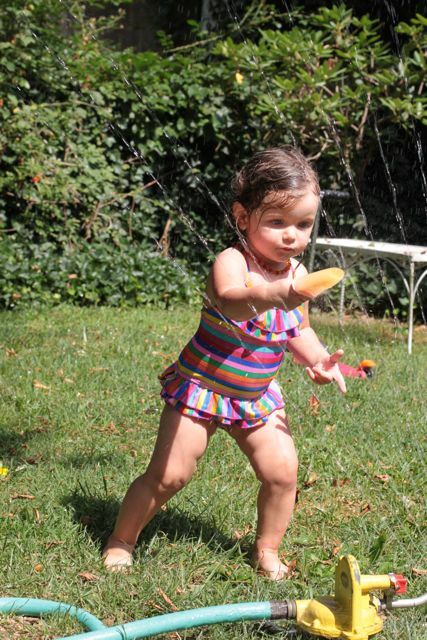 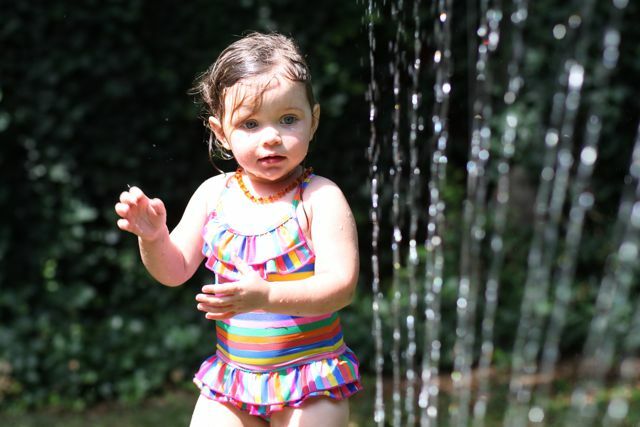 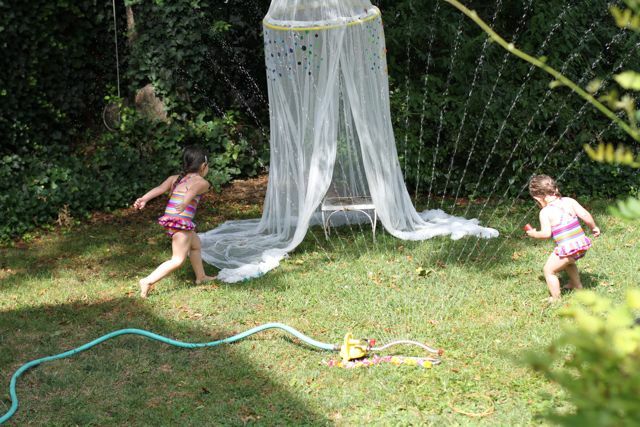 We attached the oscillating sprinkler to the hose (as we saw one on the street the other day like this and the girls wanted to play in it) and instantly our little yard was transformed into the most fun place on earth! 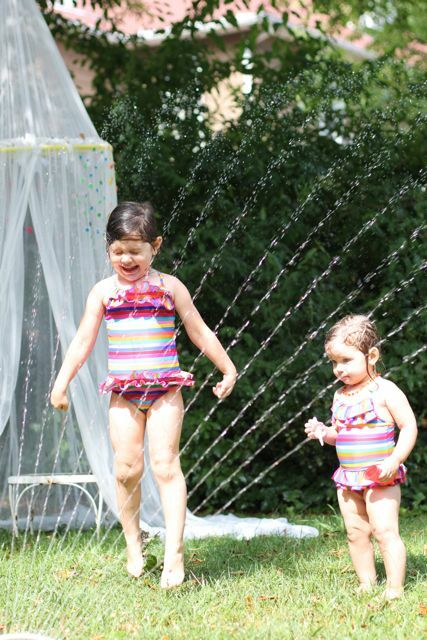 The girls ran and jumped in the moving water. 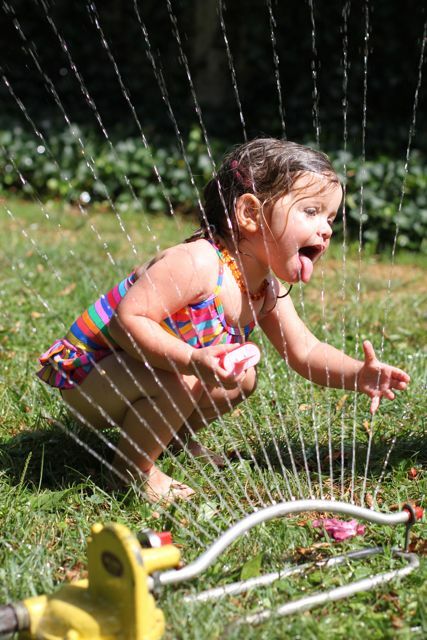 They drank from the sprinkler, they sat on the sprinkler, they put their ice blocks in the sprinkler, and all round had a marvelous time. 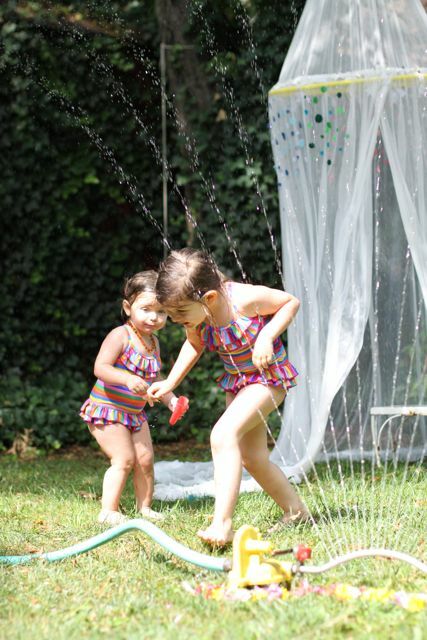 Moments like these truly are the essence of summer fun. 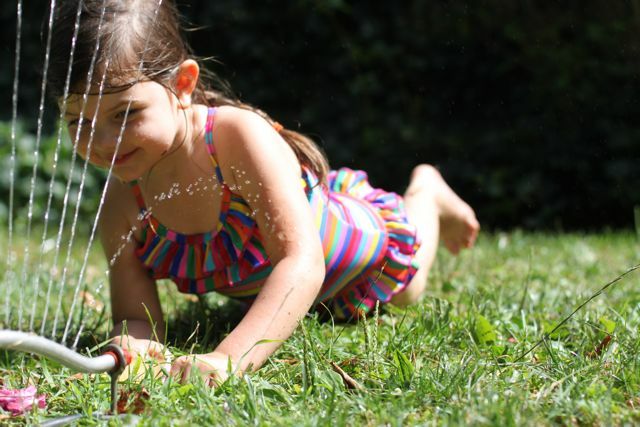 This entry was posted in G A R D E N and tagged garden, play, summer.